On Scene: 1044 Helmet & Leather Front Sale Alert! 1044 Helmet & Leather Front Sale Alert! 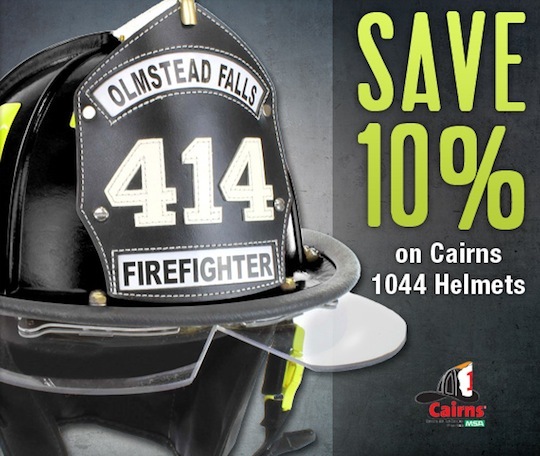 Cairns 1044 Helmets are 10% off right now and in helmet-world, this is a huge savings! The 1044 is a popular, great selling helmet because it has the rugged, matte-finish look, with the appeal and overall look of a traditional helmet. It's packed with great features to make it super durable, comfortable and of utmost protection for you while on the scene. The 1044 Helmets are available in Standard or Deluxe models, and have various eye protection to choose from based on your needs or department specifications and rules. You can't forget to add that new, custom shield to your order, too! Because at 10% off Leather Fronts right now, why not?! Build your custom front using our Build It, See It, But It Program and enjoy not only a new helmet, but an awesome new identification. Shop the 1044 Helmet Sale and Front Sale, today!